PHP memory usage can be limited in its configuration, but there are some cases that may cause PHP to request a very large amount of memory, in some cases due to bugs. 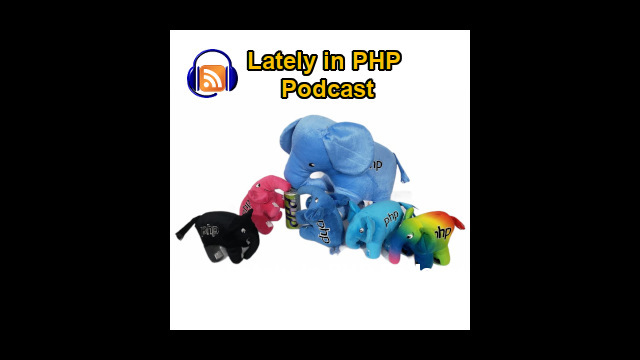 That was one of the main topics discussed by Manuel Lemos and Arturs Sosins in the episode 73 of the Lately in PHP podcast hangout. They also talked about the latest proposals for PHP next versions like throwing exceptions when a function call misses a required argument, getting name of a type of variable consistent with type hinting naming, making PHP extension throw exception on errors, and the end of life of PHP 5.5 and PHP 7.1.0 feature freeze and the latest alpha releases. First we cover about the latest versions of PHP 5.5.37, 5.6.23, 7.0.8. Then we comment about the fact that PHP 5.5 end of life is coming this month, so they are figuring if they will do one more release or not. Then we talk about PHP 7.1.0 that will come to a feature freeze as I mentioned before, which means nobody can submit proposals after this. Then we talk about several RFC, starting with one of throwing exceptions when a function is called with some missing arguments. Then we talk about a discussion that went through several proposals to have first it was called typeof, a sort of an operator to get the names of types of certain variables and expressions, but the author proposal evolved into a RFC about var_type and then finally he called it var_info, which is something that he came up, after some discussions in the PHP internals mailing list. Then we will be talking about a proposal to throw errors, I am not sure it it would be errors or throw exceptions in extensions because most things now in PHP can throw exceptions but some functions of extensions do not yet throw exceptions, so the idea would be to make it consistent, so everything that goes wrong can throw exceptions. Then there was an interesting discussion about misterious reasons why PHP also starts allocating too much memory. And there was several people talking about several possibilities, so we will talk about it then. Then finally there is an article 17 birthday of PHP Classes which basically covers the latest features that were implemented in the site and some related with something more recent which is the support for the Zephir packages. Zephir is a language derived from PHP but it is more strict and as well PHP 7, I mean there is now a category of packages that are PHP 7 specific. Here we also comment about the initiative to help developers to evolve in their careers selling software products that they will develop.